Autumn 2014, Indigofera collaborated with Richard Colman, an artist who mixes fictional symbolism and daring geometry. 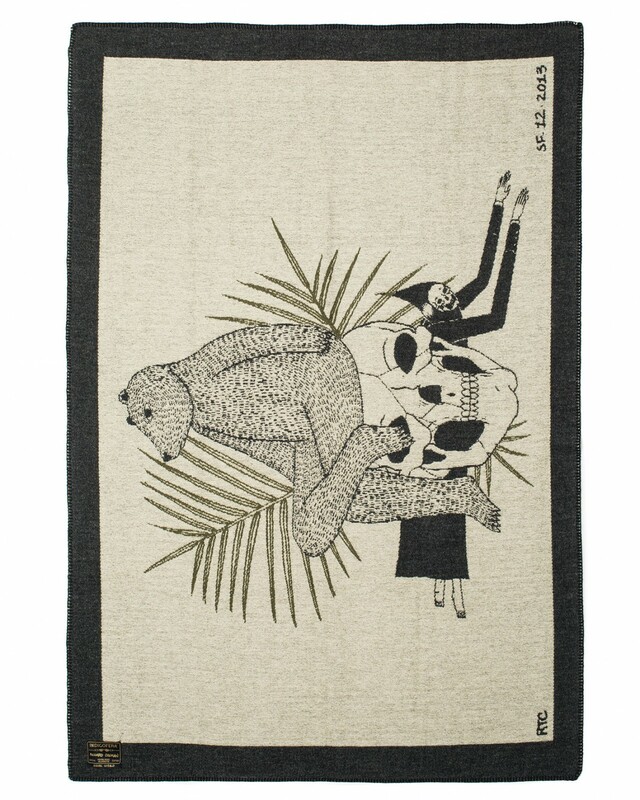 Through symmetrical compositions Colman explores themes of human sexuality, social hierarchies, life and death. 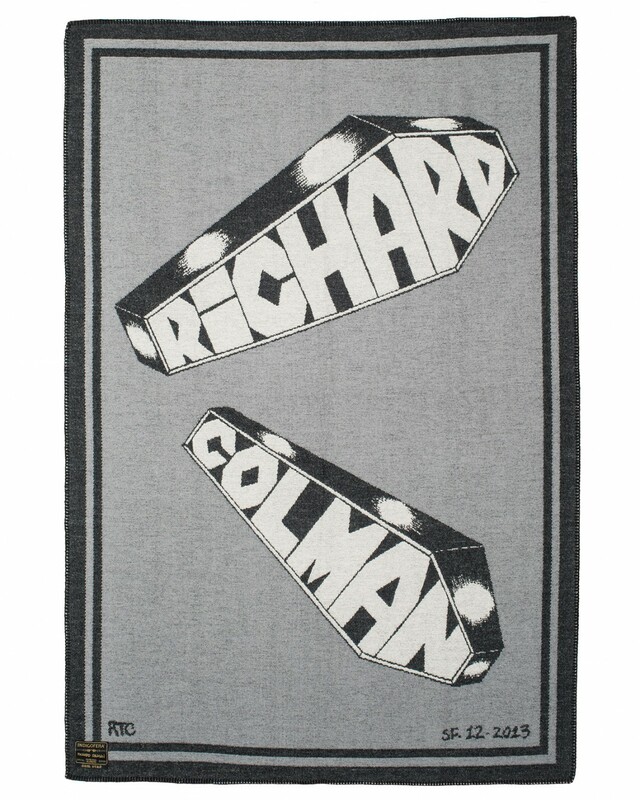 Richard Colman was born in 1976 in Bethesada, Maryland, but is now based in San Francisco. His work ranges from small paintings to magnificent murals and installations. His latest piece of work was a mural created on behalf of the Gagosian Gallery in Los Angeles. Richard Colman himself contacted the gang behind Indigofera through a mutual friend in Copenhagen in the hope of a collaboration with the Swedish denim brand. Mats Andersson, one of the founders of Indigofera has been personally following Colman’s career and felt a partnership was a natural for for the brand. “I have followed Richard Colman and love what he does so it was an easy process to move forward with the graphics for the collaboration.” Says Mats Andersson. 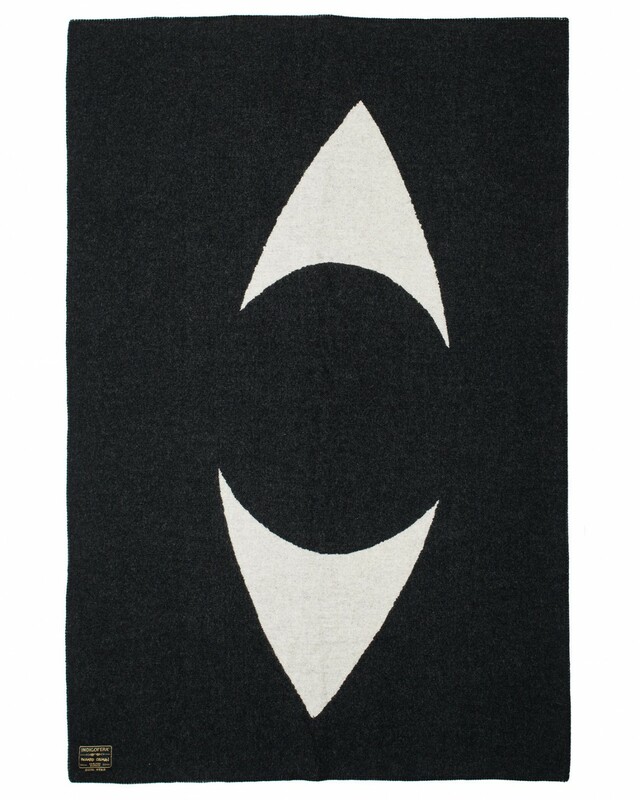 Together, they have developed three different graphic designs for one of Indigoferas iconic products, the wool-blanket.